Robin Mum and baby pyjama gift set. A lovely new baby gift, babyshower gift or treat for a special mum. These 100% organic cotton Robin print pyjamas are made with the softest organic cotton for extra comfort. Available in size Small (8-10), Medium (12-14) and Large (16 ) for mum and new born - 5 year child. The adult pyjama is a two part pyjama set. Pyjama top with a cuff sleeve and pyjama trousers with a cuff ankle leg. 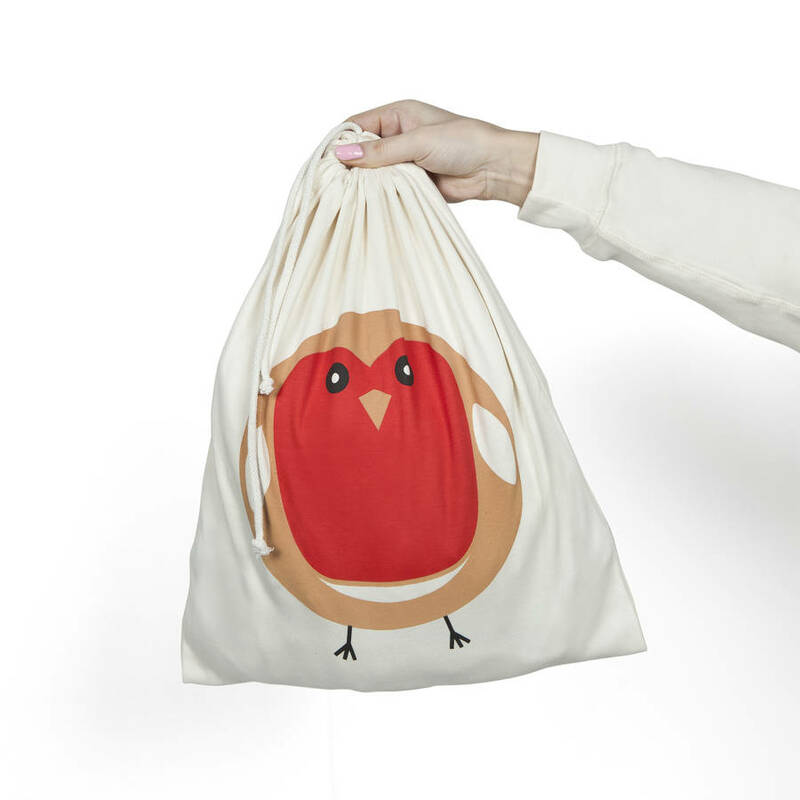 The mum and baby matching gift set comes in a coordinated 100% organic cotton Robin printed bag making them a great gift. You can add an addtional rompers for brothers and sisters too. 100% organic cotton and printed with organic dyes. Machine wash at 40. This product is dispatched to you by PJ Mamma.